During the last decade, Wang Bing has emerged as one of the most original, contemporary Chinese voices, through a number of documentaries that present a relentless look in the blights of Chinese society. This time, he turns his attention towards death, using the same realism that borders on cruelty, in a film that won the Golden Leopard in Locarno. 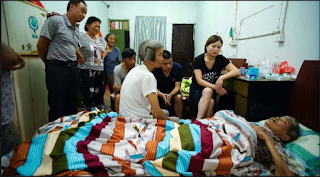 The documentary starts with Mrs Fang, a woman in her sixties, waiting in a hallway, while the next scene cuts to her in a room, between two beds. The next scene though, takes place some months later, when a bedridden Mrs Fang is dying, with her family members hanging around her, expecting just that, in a small village in southern China. As the relatives talk above her head, almost as if she is already dead, we learn that she suffers from Alzheimer's, although a doctor or a hospital are so out of the question, that no one even refers to them. Wang Bing directs an utterly realistic portrait of death, with the face of the sick Mrs Wang being the model, as the camera focuses on her distorted expression a number of times, for periods that are brief but seem much longer due to the realistic grotesqueness of the spectacle. The rest of the documentary shows the lives of her relatives as they fish in some swallow waters, or discuss the ones the aren't there or even her funeral. However, all of these seem to be just a distraction, because what Bing wants to focus on is the death "trip" of a dying woman. In that fashion, and despite some idyllic shots of the bucolic setting outside of the house, the documentary focuses on the realistic depiction of death, in a way that borders on being painful for the watcher, at times. 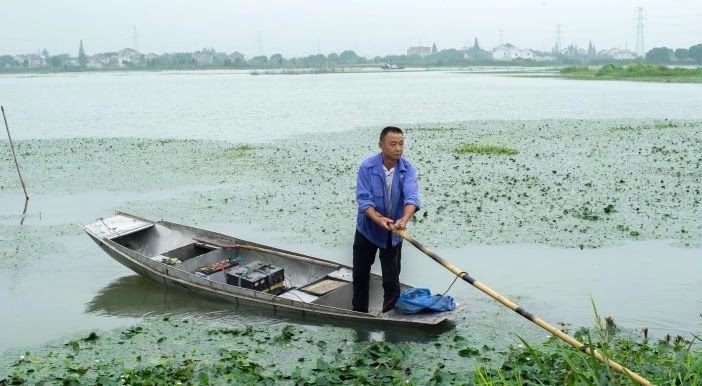 Wang Bing's camera is placed really close to the whole endeavor, in an almost imposing way, and in a tactic that stresses the aforementioned even more, with him taking a break just to follow (again very closely) her relatives on their daily routines. In an abstract way, he seems to make a comment for the lack of treatment for this kind of patients, although we never learn if the fault lies with the relatives or the state. The same applies to Mrs Fang, of which we learn very little about, just from some discussions of her relatives about her life, since this is a story about death and life has very little to do with it. Evidently, this a very difficult film to watch, both due to its "annoying" realism and the lack of any action, but Wang Bing makes a point of showing that he does not care, as his purpose, of depicting the actual circumstances of a dying woman in current-day China is fulfilled to the fullest. Death is not something spectacular, but a slow and uneventful travel into nothingness, and "Mrs Fang" depicts this reality as truthfully as possible.